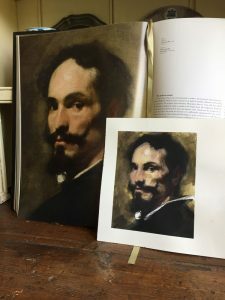 The copying of master works as an aid to learning is a centuries old tradition, although it’s not something I have done very much of (if anything at all). 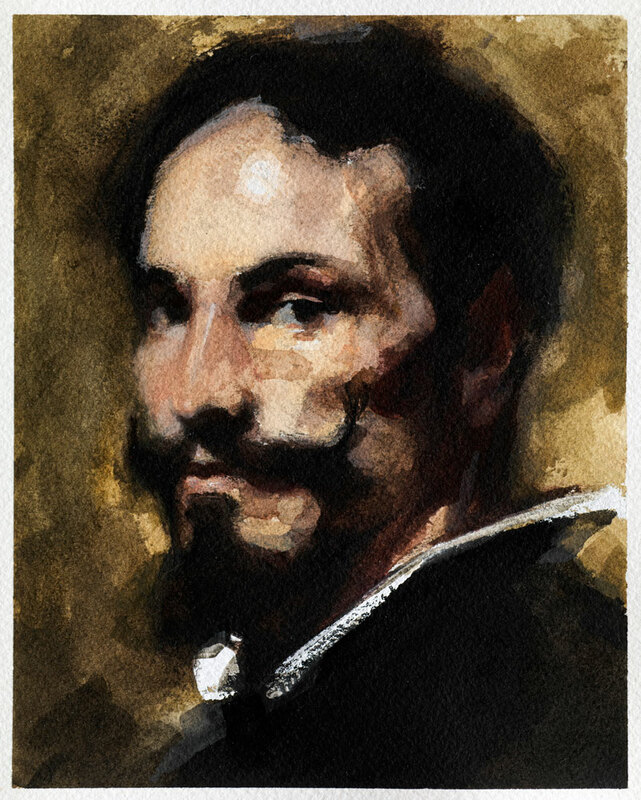 Looking for exercises to continue my experiments with watercolour, I thought a master copy (albeit of a painting in oil) would make for an interesting project. I have a copy of the excellent book Velázquez: Complete Works published by Taschen, which is filled with quality colour plates to work from, and I chose this “Portrait of a Man” circa 1635-45 to copy. I stood the book upright and worked by eye, quite casually, on a watercolour pad laid flat on my dining room table. I wasn’t aiming for exactitude, focussing mostly on unifying my colour palette, losing edges, and simplifying shapes. I think the value in undertaking projects like this is less about the results and more that it encourages really looking, really taking the time to study and consider the work in front of you. I’m sure I will do more of these copies. The difficulty will be in deciding which to tackle next – this is a huge book filled with the inspirational legacy of a genius.